Join our Young Explorer Camp for a summer of experiences in science, art and nature. Forest Grove guides children ages 3.8 to 12 while they explore the world around them and delve into our exciting weekly themes. Forest Gove is fortunate enough to be situated among some of the best trails and landscapes for our students to enjoy during camp outings. A healthy and balanced day includes 2.5 hours spent outside for hikes, forest walks, splash pad time and so much more! Students are supported in making new friendships during group games and daily challenges that encourages team building and relationships that extend far past summer camp. Who? What? How? Together, students and teachers work to unlock some of the classic questions that bewilder us while exploring everything from robotics to space. While researching everyday occurrences students can begin to understand how the world around them works in not-so-mysterious ways. Hands-on creativity with an emphasis on art is Forest Grove’s speciality! 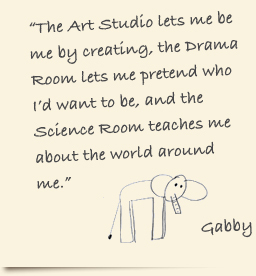 For almost 20 years Forest Grove’s art curriculum and signature Reggio Emilia style has set-us apart and garnered 2 decades worth of word-of-mouth clientele. Students will be given the materials and themes to execute their own vision as we place emphasis on the process not the product. Specialized lessons expose students to new techniques as they test the limit of their full artistic potential. Splash Pads Visits • Pizza Day • Special Guests • Group Games • Face Paint • Take-home activities …AND SO MUCH MORE! √ Bring everything into Forest Grove!